Prestige item and Quest Path released with patch 6.88b. Following the recent conclusion of the Nanyang Championships Season Two, Dota 2’s patch 6.88b has now been rolled out bringing with it changes to heroes, and the introduction of the much-anticipated Legion Commander Battle Pass quest line. A new comic, following the exploits of the Commander's Bronze Legion, has also been launched for free—the last page of which appears to tease the games’s next hero. Full details on patch 6.88b's tweaks and tinkerings can be found over here. 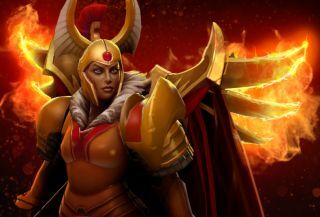 Battle Pass owners can also get their hands on the ‘Legacy of the Fallen Legion’ Legion Commander Prestige item and Quest Path. The slight catch is you’ll need to be at level 225 or higher, however players who complete the quest line will also bag an alternate style unlock for the Prestige item. Doing so means playing a lot of Legion Commander games, however, so queue with friends unless you want to be the most unpopular person in solo queue. Lastly, the Bronze Legion-oriented comic, named Tip of the Spear, has a bunch of easter eggs for fans to find. The first is right at the beginning, when a young Tresdin encounters her predecessor. This former Legion Commander looks suspiciously like the hero's DotA 1 incarnation. The biggest tease is at the end, however, when green fire in the distance suggests the arrival of Abyssal Underlord (formerly Pit Lord), a hero that fans have been awaiting for more than a year. That cliffhanger ending sets up the events described in Legion's in-game flavour text, which you can also find here. 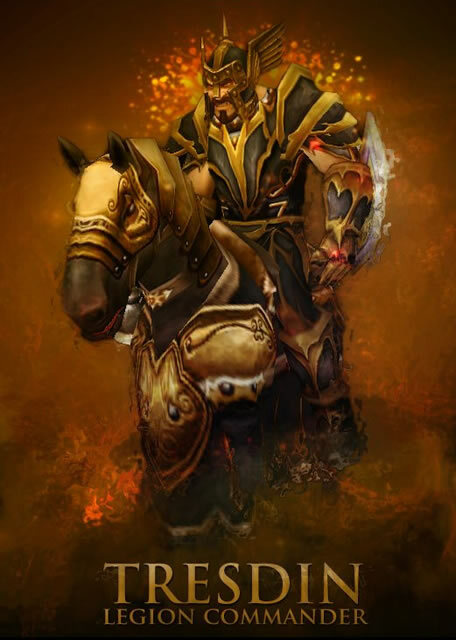 Furthermore, completing the new quest line reveals that Legion Commander has a new nemesis: Vrogros the Underlord. It seems likely that Valve will tease the hero further at the International. The Underlord's release would mark a milestone for Dota 2, as he's the last hero missing from the original DotA 1 roster. With his inclusion the game is functionally 'complete': what comes next is anybody's guess. Probably hats.